Click to Register your Interest for future events. Day long includes an accreditation from the 'Sports Vision Institute' and Associated Sports Organisations. 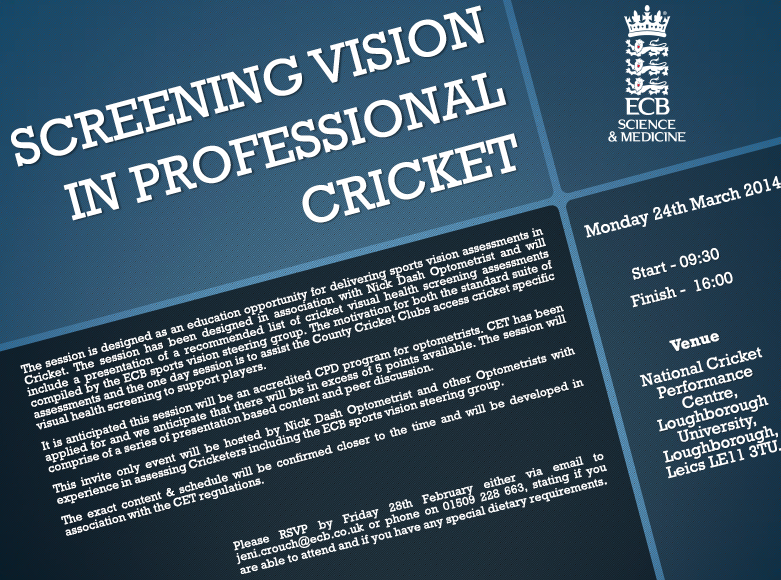 Evening events are a thumb-nail insight into Sports Vision and how it can benefit you professionally and commercially. 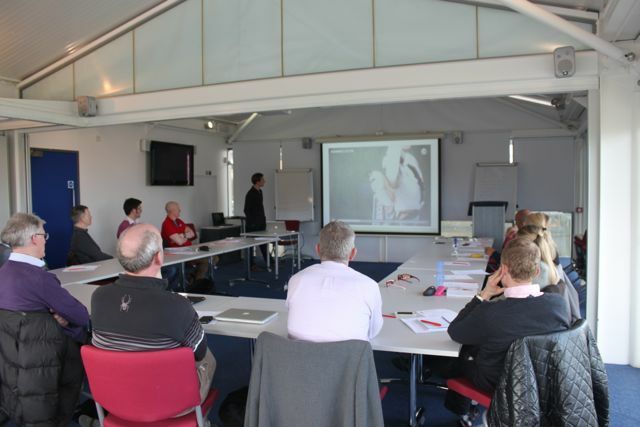 Discovering the evidence based approac & practicalities of implementing ‘Sports Vision Practice'. The Sports Vision Institute is the brain child of Nick Dash (Elite Level Sports Vision Optometrist). NIck has been at the forefront of World Sports Vision for the last 17 years. Working with world leading athletes, many Olympic Gold Medalists and International Sports Teams. The lecture will highlight the scientific base to sports vision followed by a skill workshop on Sports Vision Investigation and assessment. Director of the Sports Vision Institute, Loughborough University.